Paul Mitchell Professional Hair Color is primed to be a leader in the Professional Hair Color category within the beauty industry. We are expanding our color portfolio to include products that help hairdressers build their Color Bar and their color business. By offering products to address the ever-changing trends while holding true to what we know is core business for salons, we will keep Paul Mitchell Professional relevant to the hairdresser. This September, Paul Mitchell Professional Hair Color welcomes The Demi, a demi-permanent hair color with exceptional shine, and POP XG, a vibrant semi-permanent cream hair color. Lively, playful hair color is not reserved for rockers anymore and is definitely the trend to try for color lovers of all ages! We are happy we can provide a product tool for hairdressers to help address this growing demand from guests in salons. We had a blast developing POP XG. It seemed everyone in the office was “popping up” with bright hair color. The POP XG line features 13 electric shades; each one is intermixable so customized shade opportunities and artistic expression possibilities are endless. 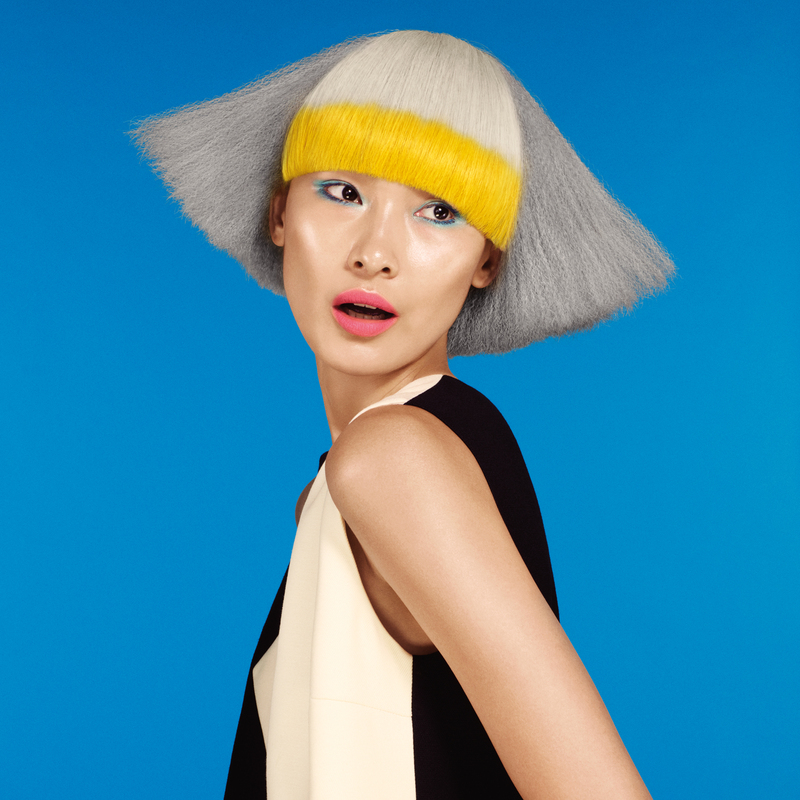 Remember: guests should be certain when choosing their POP XG shade because once it’s on the hair, it’s there to stay! POP XG’s remarkable durability is one of the performance benefits stylists and their guests love most. What I love about POP XG is the value we are able to offer stylists. In the office, we always take into consideration how to provide the best value for hairdressers. To do this with POP XG, we increased the size of the tube from 3 oz. to 6 oz. Wow, right?! In a marketplace where competitors offer a 3 oz. or 4 oz. of product, our 6 oz. tube at our suggested salon price offers the salon up to a 24% savings. We LOVE that we can offer a more profitable bottom line for the salon or independent hairdresser. Lastly, I can’t finish this post without mentioning the incredible POP XG hair color created by Lucie Doughty and our Paul Mitchell team. The color choices and placement of color, combined with the perfect wardrobe, made the campaign eye-catching and explode with color. The images grab your attention and draw you in. 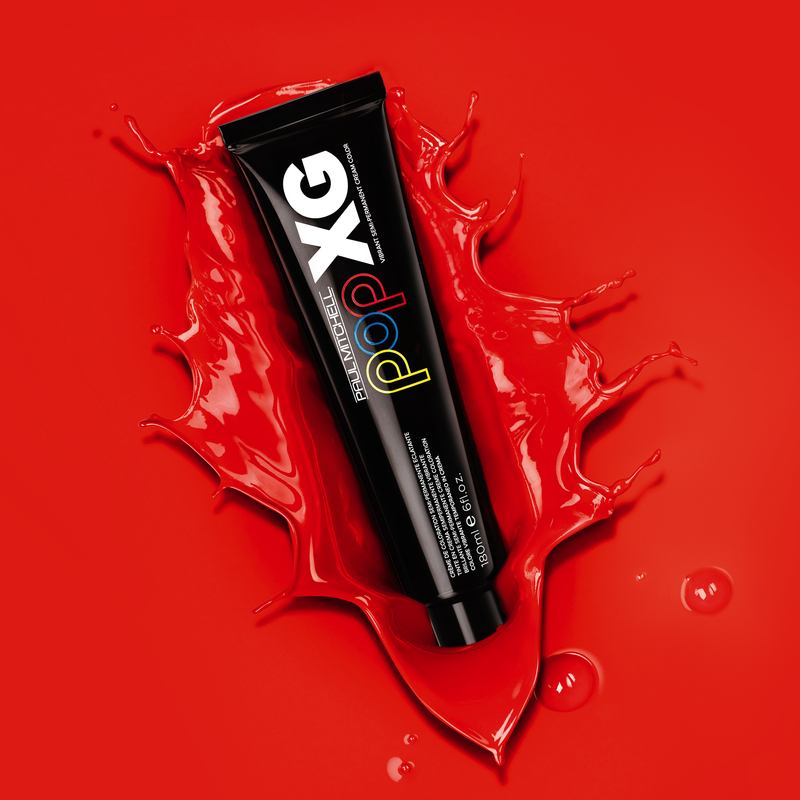 All the images and tip cards can be found on our Paul Mitchell Professional site along with a few additional favorite formulas for POP XG. 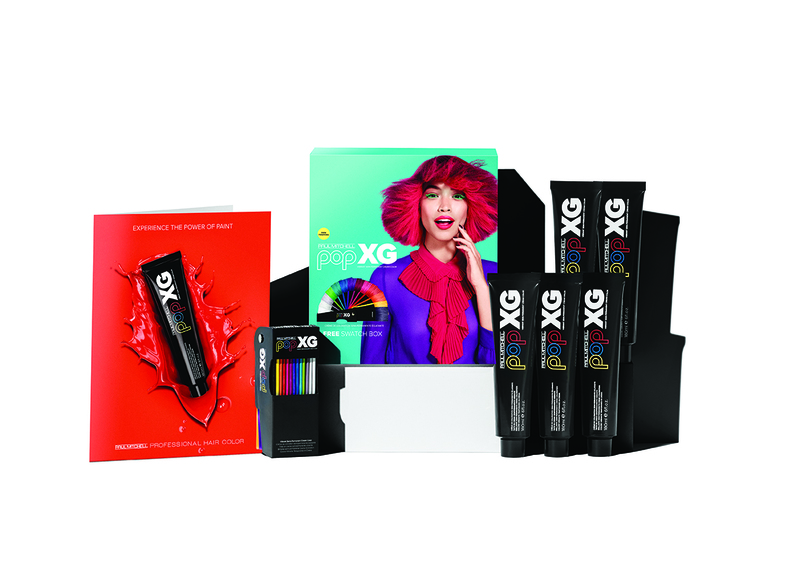 The options with hair color are never-ending, especially with POP XG. I didn’t intend to end this post with a nod to Oprah, but if there is one thing I know for sure (which I learned from Stephanie Kocielski), color is the first thing you see and the last thing you remember. 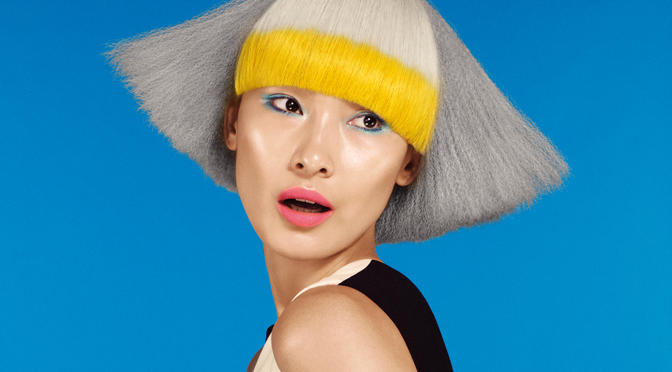 So why not make yourself memorable with a fun pop of color? For more product and industry news, click here.